This month the Aram Gallery in London’s Covent Garden is staging the latest edition of its exhibition series Prototypes and Experiments, looking at the architectural process. 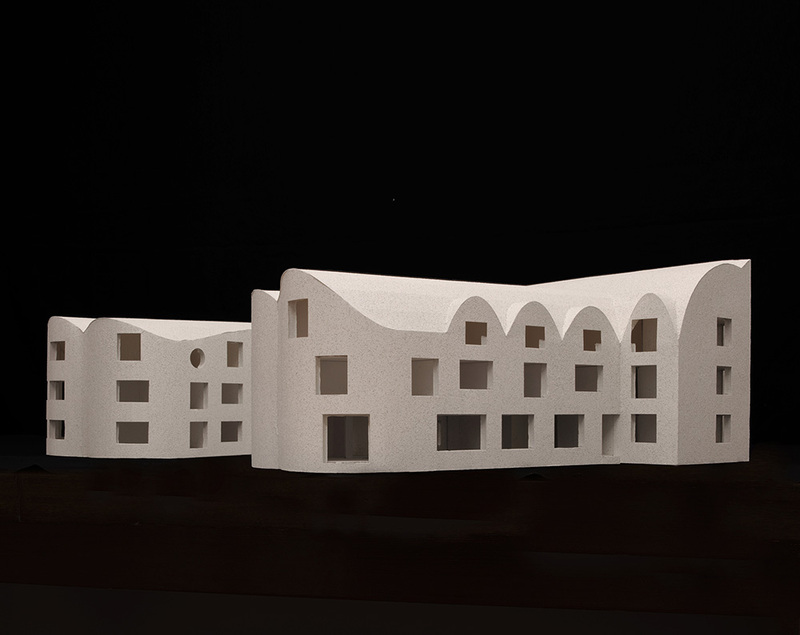 David’s Kohn Architect’s working model of its New College Oxford scheme. It asked a selection of practices to share how they use models as part of design development. The exhibition shows a range of uses for the models – from exploring ideas to evoking a feeling of space or helping with the decision-making process. The exhibition also includes other physical artifacts from the design process, such as colour tests, material palettes, 1:1 mock-ups and prototype elements. Catch the exhibition at the Aram Gallery until September 1.